The 16th century Chinese novel-turned-movie Journey to the West tells the story of the roguish Monkey and his encounters with spirits, gods, demons, ogres, monsters, and fairies. This Eastern literature classic inspires writers Hong Miran and Hong Jungeun to recreate a similar story with a rom-com twist to it – and so, Hwayugi: A Korean Odyssey is born. Even before its release, A Korean Odyssey was a special production. 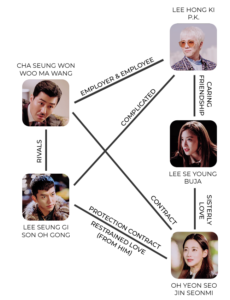 The reason being, its cast included not only Lee Seunggi but also Cha Seungwon – both were dearly missed since we’ve last seen them in small screen productions! Add in a female lead with experience, Oh Yeonseo, and we’re off to a great start. Just before its official first run, news of a stunt falling and suffering serious injuries spread on the web. The airing was no smooth ride either — the second episode faced several post-production errors, thus causing delays in upcoming screenings. The long-awaited return of two dear names to the drama industry ended up being stained by several production mistakes. Despite all this, as it is said, the show must go on. As a little girl, Jin Seonmi struggles with the scary ability to see demons. Upon meeting Ma Wang, she is promised an item that can protect her. In return, she must run an errand for him. This way, she enters the house where Son Oh Gong lives in seclusion as a punishment for his mischievous ways. Son Oh Gong tricks her into believing he’s a fairy and compels her to sign a contract, guaranteeing that he will protect her from the demons whenever she calls his name. Freed from his jail, he leaves without revealing his name to the little girl. Fast forwarding to a few years, Ma Wang is now a CEO of a top entertainment company, Jin Seonmi has her own real estate company and Son Oh Gong still wanders around. Via a fateful encounter, Seonmi meets her fairy once again. Despite finding him, she still doesn’t know his name, which leads to her auditioning for the programme Ma Wang judges in hopes of uncovering her fairy’s location. She comes to find that her fairy is not the least interested in helping her. That is until Son Oh Gong discovers she is samjang, a human whose blood demons are eager for. He then starts orchestrating a plan to eat her but ends up being chained to a geumganggo, a bracelet that makes him madly in love with Seonmi. At first, Jin Seonmi is portrayed as an independent and unbreakable woman. Although having experienced years of defending herself from demons and evil spirits, she seems to become highly dependent on Son Oh Gong when he reappears. She definitely listens to what he says and relies on him for protection and comfort since early episodes. All she has to do to summon him is say his name out loud, after all. Of course, for Son Oh Gong, she is but a headache at the beginning – yet he still helps her. After the geumganggo is forced upon him, he starts being more caring but in a cold way, like a tsundere. He hates that he loves her. Towards the end of the series, he ends up yielding to his feelings. Son Oh Gong and Ma Wang go way back as rivals by nature. Maybe that’s the reason why these two characters seem like siblings. At first, things were quite sour between them. Throughout the show, they constantly quibble and tease each other, but when the moment of truth comes, they protect one another. Between Ma Wang and Jin Seonmi, there is an odd atmosphere that is hard to read. She does care about his well being but there isn’t much of an affiliation between these two characters. A genuine friendship is established between P.K. and Buja. Even though both are secondary characters, some of the enjoyable scenes include these characters, mainly because of how pure their intentions and feelings towards each other are. From the moment they meet, Seonmi always watches out for Buja. She makes sure Buja is well and takes care of her at all times, making their relationship resemble sisterly love. I expected a lot more from this series but truthfully, that’s what I get for building up hope before its release. This drama could have been so much more than it was. It had a historical book behind it, mixing the mystical with romance and comedy, which is known to be a formula for success in the drama world. In the end, it all goes back to the team behind it, who failed to pull it off as successfully as it could. 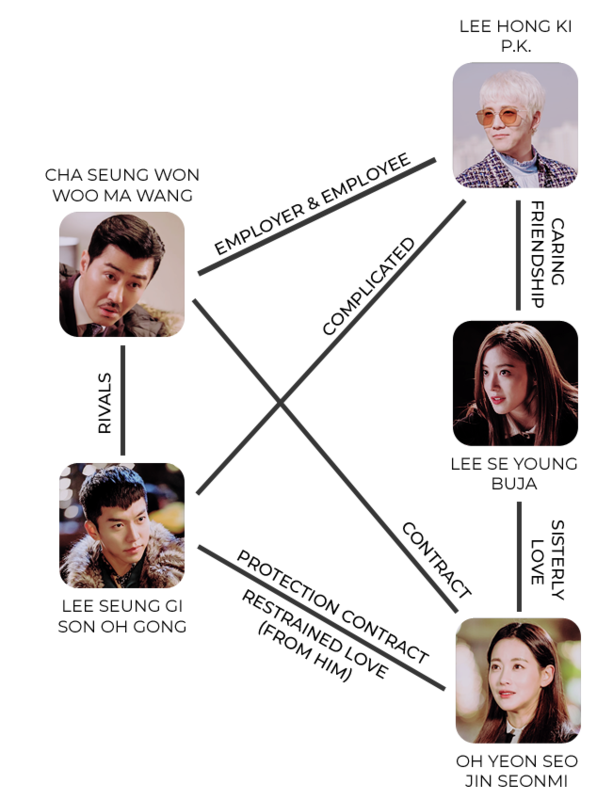 After completing this drama, I gathered a few things that seemed notorious for its overall quality. The plot I wrote above is the core of the drama, and it is fully set within only two episodes out of twenty. Rushing things like this is extremely repulsive because it becomes unattractive to the viewer watching something so heavy right from the beginning, and it could easily lead to people dropping the series in its early stages. Besides being too much information at once, it makes the following episodes lack any sort of surprise factor. From this point on, there isn’t much to anticipate, besides the romance between the two main characters. 2. An independent damsel in distress? Jin Seonmi has gone for years and years protecting herself from the demons and evil spirits that taunted her. She is portrayed as successful, independent, strong, and brave at first. And yet, the moment Son Oh Gong walks back into her life, she constantly needs his aid in handling creatures she has dealt with all her life, gets herself into trouble within the world she didn’t want to have a connection with, and relies on him to help her. I can’t help but find that this does not add up – it’s just incoherent. Although at times this character had questionable ways, there is no role in the world that Cha Seungwon doesn’t rock. And by rock, I mean absolutely owning it. Ma Wang was so expressive, I couldn’t help but be glued to the screen during his scenes. He really did boost the comedic factor throughout the drama and fortunately made it a little better. PK and Buja were really lovable characters with a wholesome relationship. Their curiosity towards each other was quite cute, and PK’s intention to help and guide Buja was pure and honest. All in all, their scenes were very light-hearted which contrasted highly with the tense and confusing atmosphere of the main plot. There are a handful of dramas that don’t satisfy the viewer when it comes to romance – gladly this is not one of them. The actors did not spare any opportunities to show skinship, successfully delivering the drama’s romance factor. I couldn’t help myself from mentioning this: the soundtrack is really obnoxious and does not fit the mood of the drama at all. I’m not saying the songs themselves are bad, not at all, but they are not coordinated with the events of the drama and end up being bothersome at times. Just as the beginning was rushed, the ending also seems to have been fast-paced. This isn’t really a surprise considering the last episode was recorded two days before airing, which leads me to conclude that the team had to work with what they had. Neither the beginning nor the ending flows nicely and there isn’t any viable reason as to why this happened. At least none other than poor organization. 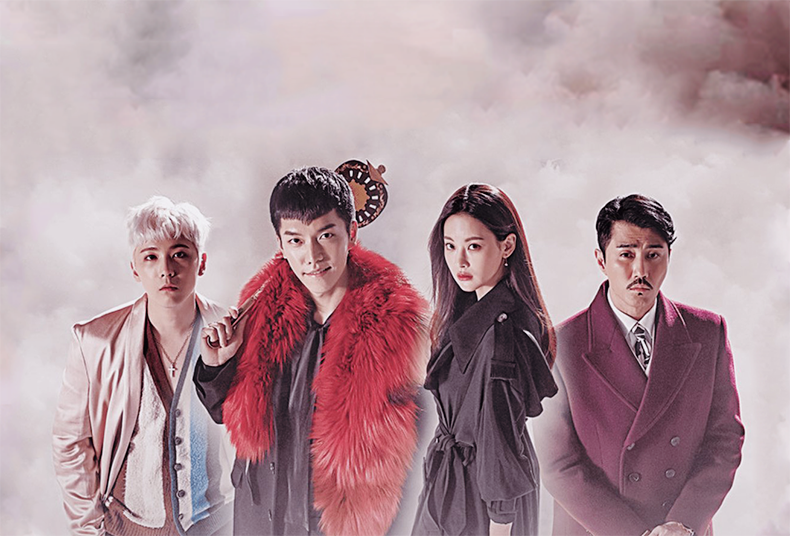 A Korean Odyssey, the drama that had everything to prosper, had a few mishaps that were enough to distance the ending product from early expectations. Just like every drama, this had its ups and downs. Overall, there is some incoherence when it comes to character development, the beginning and the ending weren’t all that powerful, and the soundtrack didn’t match the atmosphere of the drama. On the other hand, the comedy was quite entertaining, there were earnest friendships, and the romantic factor was well-conveyed. I suggest you watch it if your main concern regarding dramas is fulfilling the romance part. If it is not, then you should keep it on your list so you can watch only when you have the time. OH! Chart 190424 | BTS Tops The Chart!